Are you looking for some inspiring travel coffee table books? Since my boyfriend made the very grown-up decision to get a full-time job in Norway (meaning he’s finishing up his medical residency and I’m really proud him) I have spent more time at home than I would like this year. So naturally, I’ve filled our home with travel memories and inspiration, like the two travel coffee table books you see above. 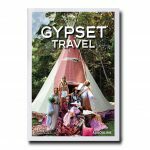 I got Gypset Travel in Byron Bay and the surf photography book by LeRoy Grannis in Sydney. In fact, almost all the decor pieces in our home have a travel story behind it. 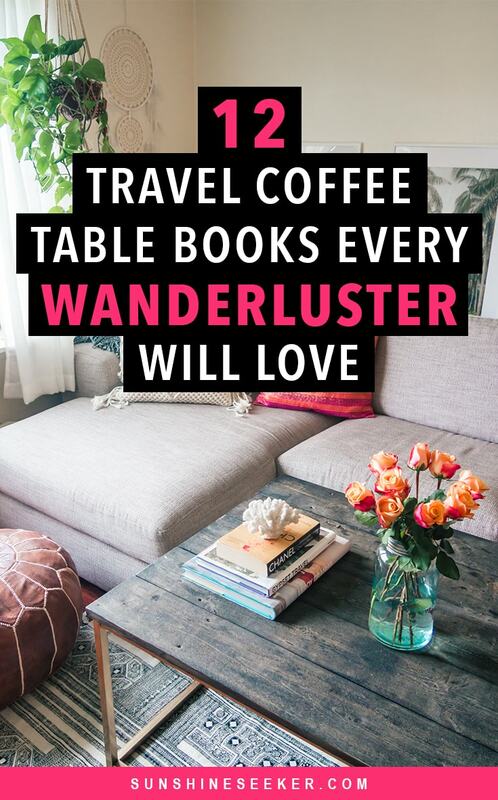 Not to sound too cheesy but I use travel coffee table books to get me through daily life when I’m home. They’re just so pretty to look at and a great source of inspiration for my upcoming travels. More often than not I find myself planning an entire trip based on a single photo I see in one of my travel books or on Instagram. Yes, I get obsessed with things very easily. 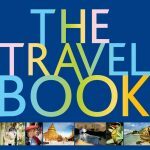 But maybe best of all is that these stunning books are the perfect gifts for your loved ones bitten by the travel bug. I mean, who doesn’t love to travel? Or at least look at pretty photos of exciting destinations? 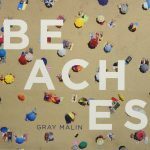 Gray Malin is the man behind “Beaches”, a beautiful coffee table book which combines summer bliss, interesting perspectives and artistry. It might look like the book is full of drone photos but they’re actually shot out of doorless helicopters. Cool right? “Beaches” features more than 20 cities across 6 continents like Sydney, Lisbon, Barcelona, Cape Town and many more. So if you’re always craving some summer inspo like me, this is the book for you! 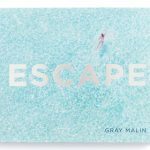 Following the success of “Beaches”, Gray Malin’s second books takes you beyond the sand dunes. “Escape” celebrates life’s joyful moments through breathtaking aerial photos, journal entries and amusing behind-the-scenes stories. Featuring 22 destinations across 11 countries, from idyllic islands to bustling cities, Escape will undoubtedly inspire you to start planning your next getaway. 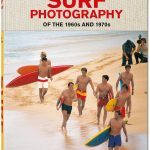 One of my favorite coffee table books of all time brings you back to the 60s and 70s when surfing evolved from a sport to a free-spirited lifestyle. This collection of vibrant photographs from Leroy Grannis’ personal archives portrays life on the sand and in the water from surfing hotspots like California’s south coast and the North Shore of Hawaii. Following her best-selling book, Gypset Style, travel writer Julia Chaplin explores the glamorous yet casual hideaways of jet-setters around the world. 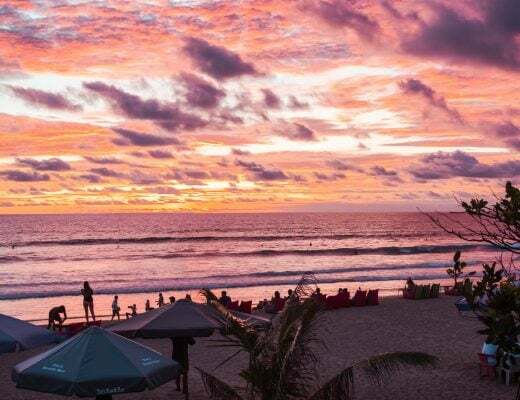 From the Aeolian Islands in Italy to Lamu in Kenya and Jose Ignacio in Uruguay – I’m sure you’ll find a new bohemian paradise you hadn’t thought of visiting before. This book is published by Assouline, one of my favorite publishers/lifestyle brands. 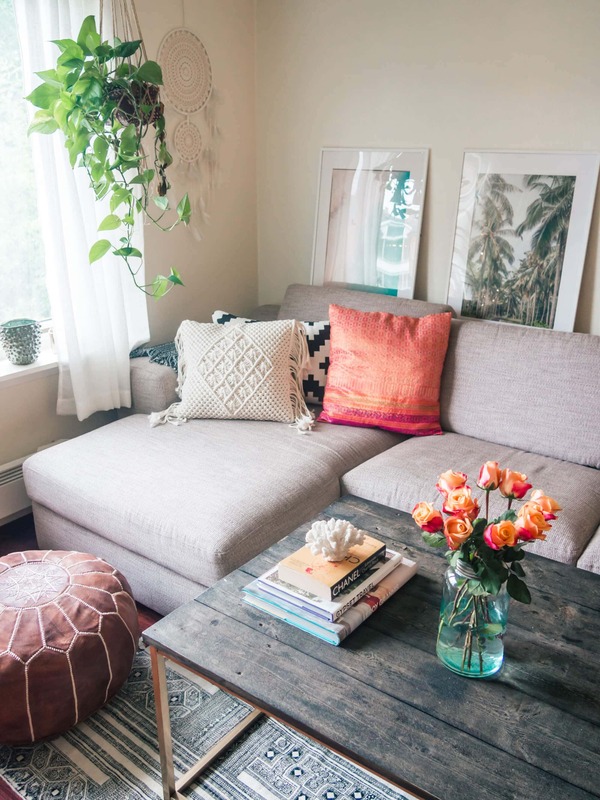 Their bohemian travel books are everything! If this book doesn’t spark your wanderlust, nothing ever will! Packed full of 500 unmissable sights and attractions ranked by Lonely Planet’s global community of trip experts, both mega famous and lesser-known, this is the only bucket list you’ll ever need. 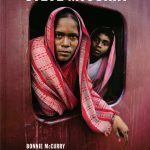 This book tells the story of photographer Steve McCurry’s forty years of remarkable work. From his breakthrough journey into Afghanistan hidden among the mujahideen, his many travels across India and Pakistan, his coverage of the destruction of the 1991 Gulf War and September 11th. The book features over 350 photos (100 of which have never been published before), in addition to personal notes, telegrams, and visual ephemera from his travels and assignments. What an inspiration! Take a journey through every United Nations-approved country in the world. Each country is profiled by Lonely Planet’s expert authors and features details of when to visit + what to see, do, eat and drink. And every entry has a map and statistics about the country. 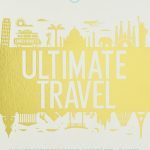 This beauty of a book is the perfect gift for every travel lover (hint hint to my friends and family)! 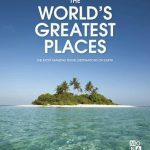 Through 2,000 photographs, this coffee table book explores the most fascinating travel destinations on Earth. It will take you to ancient capitals of Europe, the mysterious Amazon rainforest, the natural wonders of Africa, volcanic mountains in Iceland, fast expanding cities of East Asia, the imposing monuments of the Middle East and much more. Interesting facts and insightful texts are incorporated into full-page illustrations, bringing each destination to life and inspiring you to add some new destinations to your bucket list. 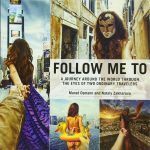 Follow Instagram sensations Zakharova and Osmann on a trip around the world, to locations such as Moscow, Madrid, Ibiza, Hong Kong, New York, and London. The Follow Me project was created in 2012 based on the concept of showing the beauty and uniqueness of different locations around the world through some interesting perspectives. In this Assouline book, travel and style influencer Sofia Sanchez de Betak invites readers on a journey to off-the-radar hideaways where those in the know seek unforgettable experiences. From the savannas of Kenya to the glacial bays of Iceland and the mountains of Patagonia, these vibrant stories will inspire travelers to explore beyond the beaten track. It’s never too soon or too late to begin the things you’ve always dreamed of doing. 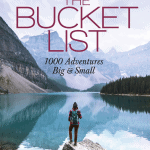 This book features 1000 bucket list adventures for all ages. From glassblowing in the Czech Republic to swimming with dolphins in New Zealand, The Bucket List is the perfect gift for the passionate traveler. 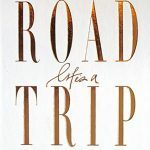 This journal meets coffee table book is designed to help you plan, experience and record the road trip of your dreams. 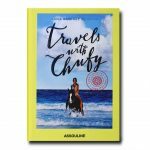 It includes fun journal pages, breathtaking photography, inspiring stories from free-spirited travelers and lists of hidden locations to discover. 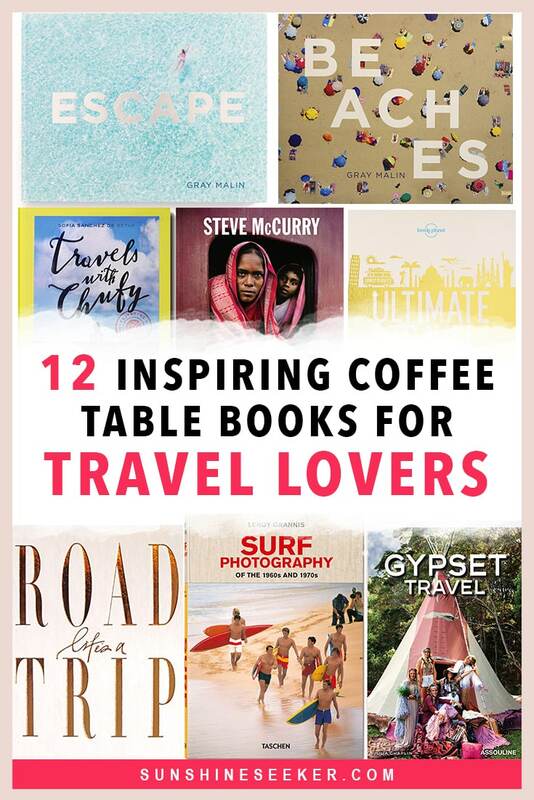 Which travel coffee table book is on your wishlist? I think I’m getting The Travel Book: A Journey Through Every Country in the World next! Beautifully written article, fun to read. I hope you continue to have such quality articles to share with everyone!